The My Trails list is very useful if you want to track the trails you've ridden, but what if you also want to track the trails you want to ride? That's where the Trail Wishlist comes in. If you added a trail to your wishlist in error, just click that button again and it will be removed. If you don't see the exact trail name, you can always hit the "search" button to view full search results. 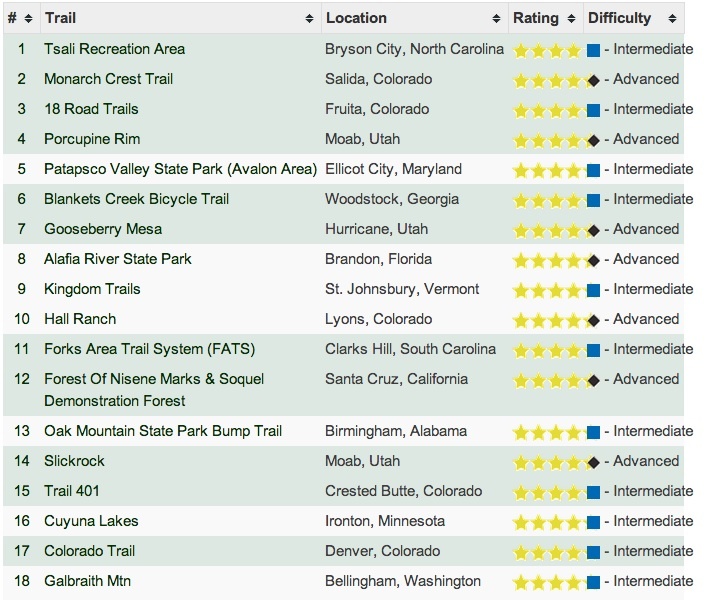 A great place to find dream trails is our best mountain bike trails list (as ranked by Singletracks users). You can browse through this list, read trail descriptions, look at photos, and add the trails that you really want to ride to your Trail Wishlist. While dreaming about trails is all well and good, the goal is definitely to get those trails checked off the list! If you're out riding a mountain bike trail, you can check in at the trailhead using the Singletracks.com mobile app for iPhone and Android. Checking in via your mobile device will automatically add the trail to your My Trails list and remove it from your Wishlist. For more information on using the mobile app, check out this article. 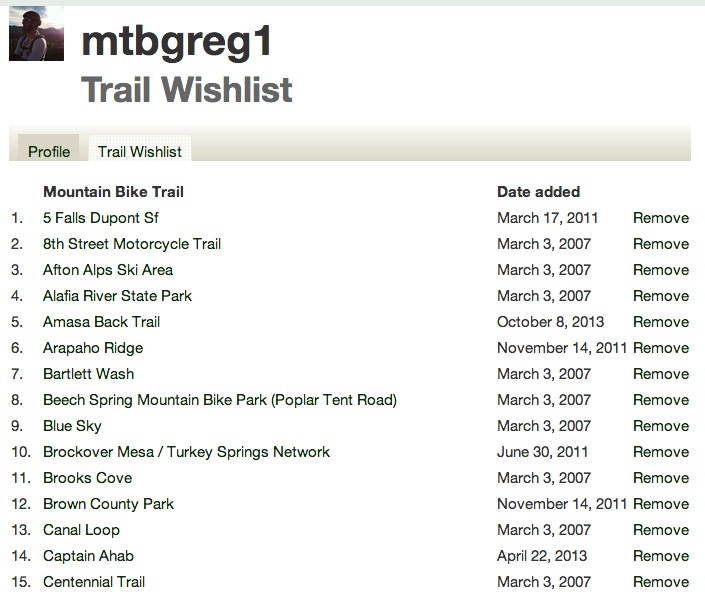 You can always manually remove a trail from your wishlist via the dedicated Trail Wishlist page or on the dedicated page for each individual trail. So what are you waiting for? Start dreaming about your next mountain bike vacation now, and get those trails on your wishlist!